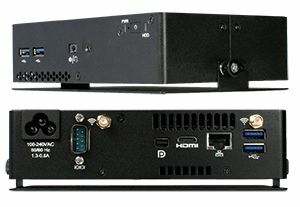 Visix has added a new 4K media player capable of supporting the super-high resolution displays that are now more widely available. It's powered by an Intel Haswell processor and HD 5000 graphics, enabling it to bring 4K content to life at the Ultra HD resolution of 3840x2160. The new player can easily be placed behind a display with its compact form factor and built-in power supply - just 4.25 x 6.5 x 1.63 inches in size. The AxisTV software platform already allows clients to design monitor layouts well beyond 4K - up to 14K in fact - so they’re offering a 4K player to match the new display technology.